Coin in and Key in function. All parts can be separate. MOQ: 40ft HQ container with * 20 units ~ 32 units. 2. New design, much more entertainment. 3. Mix hip-hop music background. 4. Can controlling the movement of the hoop. 5. 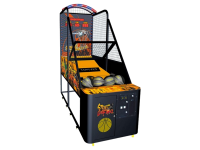 This Machine can play personal, also link up to 15 players, more exciting game atmosphere. 7. 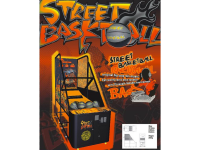 Each Machine have 7 balls. 8. The setting can be adjusted by customers.